The Republican National Convention is a weeklong event featuring speeches, elbow-rubbing, and the official selection of the party's nominee for president. 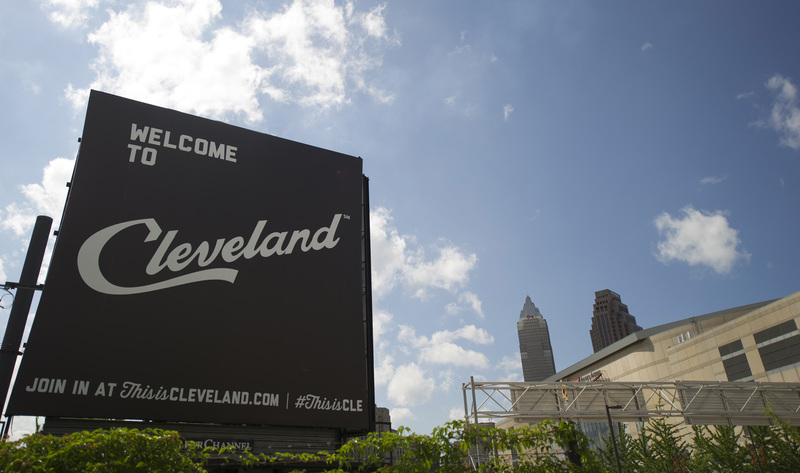 The RNC is scheduled to take place at the Quicken Loans Arena in Cleveland, and is expected to bring 50,000 visitors to the Midwestern city. If you feel the urge to volunteer at the convention, registration to cater work as a hotel greeter, airport greeter, or downtown way-finder began back in May. But you may still be wondering: Can I volunteer for the RNC, or have I missed my shot? Many mandatory training sessions for RNC volunteers took place in June, and all volunteers had to pass a background check performed by the Secret Service. Registration officially closed on July 7 after amassing hundreds of volunteers for the event. So the short answer is no, you can no longer volunteer for the RNC. But that doesn't mean you can't let your Republican flag fly in the city of LeBron James. There are other ways you can attend the RNC. If you can't get into the building itself, you can hang out outside the convention center, although you will likely have to contend with thousands of expected protesters. It's also never too late to give away your dollars, and the Cleveland 2016 Host Committee is accepting donations to "help us organize, fund and execute one of the largest and most complex events in the city of Cleveland’s history," as the website puts it. If you can navigate the road closures and detours, there are expected to be lots of ancillary events in Cleveland tied to the RNC for the general public. All these extra events can be attended while wearing your Republican swag — unlike if you were an RNC volunteer, which requires that political affiliations be left at the door. Still bummed that you didn't sign up before the RNC hit its 8,000-plus volunteer goal? You can join groups already toward the 2020 election and start looking for ways to hit the ground early. After all, for some events, it's never too early to mark your calendar.